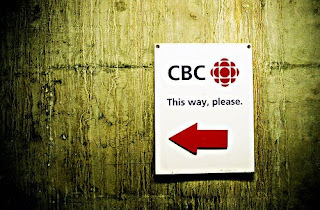 Now The Details: CBC Radio: Losing Audiences in a Losing Strategy? CBC Radio: Losing Audiences in a Losing Strategy? A recent unpublished poll from the Ottawa-based Canadian Media Research Inc. shows that CBC Radio continues to lose some of its longtime audiences, due largely to its music programming strategy. The survey taken in February 2011 indicates that the strategy of playing more Canadian indie and pop music on Radio Two is still not working after almost three years of trying. CBC Radio has long been considered the jewel in the crown of Canadian public broadcasting. Brand loyalty to radio has always been deeper than for CBC TV. Now that seems to be on the verge of change as audiences for what was once a solid news, classical and jazz service continue to fall, with some listeners migrating to the all-information service on Radio One. Others say they are losing their secular religion and migrating to online news and satellite radio from sources like the BBC World Service and NPR. It's these growing doubts that are so disturbing. Core listenership (heavy users) remain loyal to CBC Radio and believe the service is better now than in the past. Light users now constitute 50% of the audience for CBC Radio. They value local news and weather above all. CBC Radio listeners are not smartphone users. If they have the devices, they do not use them to text or to stream audio. Listeners to CBC Radio One are heavy users of cbc.ca. Most of the audience for the CBC website comes from CBC Radio. CBC Radio listeners find the frequent sport reports and updates "annoying." They also dislike hearing promos for CBC Television on CBC Radio. The "lost audience" for CBC Radio Two would return if classical music programming could be restored. 1. It could abandon its present music strategy and return to serve a demographic that values the CBC for what it was and what it could be. 2. It could decide that as a public broadcaster, being all things to all audiences is not possible when money is tight. 3. It could move Canadian and indie music to the net where that elusive demographic lives anyway. 4. It could restore news and information as a priority to CBC Radio and Television which is the CBC's mandate anyway and would more clearly differentiate CBC from the rest. 5. Or it could continue along, and wait for the federal government to force the CBC to make those choices through draconian budget cuts. Another great blog Jeff. The obvious answers are yes, yes, yes, yes and no. Jeff, as someone who has abandoned Radio Two for the reasons you cite, I hope CBC adopts 1-4 pronto. The all things to all people strategy has never worked, or has rarely worked, because the diffusion of resources usually means a lack of focus, which in turn confuses listeners to what they are actually tuning in to at any particular time of day. Additionally, what is the "niche" audience being served? Given what the proclivity to technology is, you still need to go where the listeners are. Give 'em what they want, when they want it. Great insights in this blog, Jeffrey. Thanks for putting it out there. Couldn't agree more. Small picture: I used to be dead loyal to Radios One and Two. I have been forced to listen elsewhere. Tragic waste of an audience. Point three seems like a brilliant and appropriate solution. On point five, does anyone think the CBC can actually influence its fate? Governments like to cut the CBC. They do it no matter what the broadcaster does. That is the problem with the current model and it will not go away. I love the new CBC Radio 2. Do not change it! Ditto love the new CBC Radio 2 no need to change! CBC Radio 2 is repetitive and as numbing as commercial radio in some programs. The shrinking listenership is testament to a need for change. I agree with most of the comments, but not the two people who like the new format. I am especially fond of classical music, but the new website format is a mess. It seems like they're trying to get rid of classical music altogether! So what can be done? I will call them and complain, but do not imagine that it will make a difference. Harper wants to get rid of the CBC in any case. I miss the CBC radio 2, that I listened to for 25 years. The new format is populist and panders to an audience that has a plethora of stations to listen to all along the dial and online. There is now no place for higher arts, and orchestral music anywhere on the radio dial. This used to be a station that I'd turn on in the morning, and listen to all day, until supper time and after the supper hour. The current incarnation of radio 2 is repetitive; trying to create a 'chart' of the top Canadian indy artists by playing the same (what the hosts feel to be a) 'hit' ad nauseum. The station has Jian, Strombo, and Rich. We need Tom Allen, to host the morning show as he did (In the Shadows, etc). We need Robert Harris' passionate commentary, and Daniel Charbonneau's excellent and informative after dinner commentary and music. CBC radio 2 in it's current form is an embarrassment. It's your uncle dressed in skater-boy shorts, trying to be young. Sad.